Frank Kelner, President and CEO, North Star Air, and Judy Decicco, Chair, Northern Animal Services Committee, Ontario SPCA. Today, North Star Air Ltd. was pleased to present a cheque in the amount of $30, 312.00 to the Ontario SPCA to continue to provide support and services to remote Indigenous communities in northern Ontario. 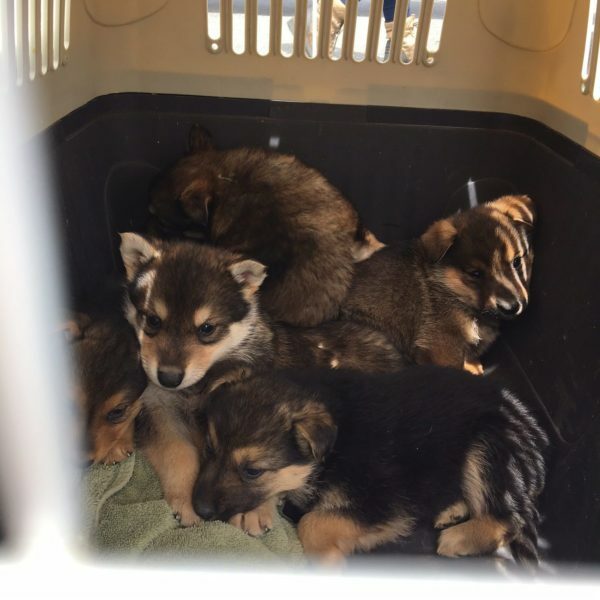 Over the last two years the long-time air transport service provider and partner to the remote northern communities has teamed up with the Ontario SPCA, local groups, Indigenous communities and Humane Societies across Ontario, to help find new homes for over 140 northern dogs. Transfer dogs in crates by the plane. 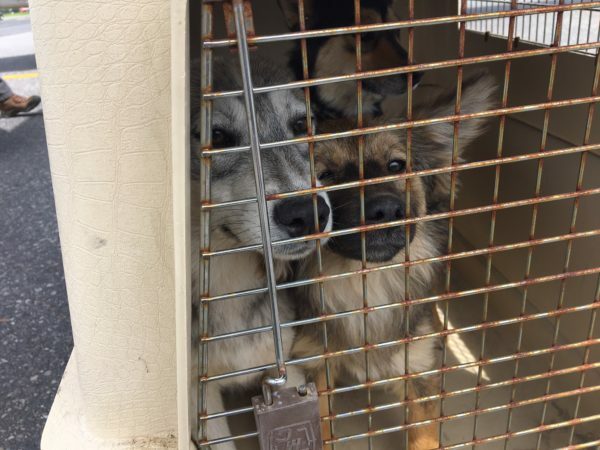 This afternoon close to 20 dogs, cats and puppies arrived in Thunder Bay from Big Trout Lake. Volunteer veterinarians accompanied the canines following a Spay and Neuter Clinic in the community. 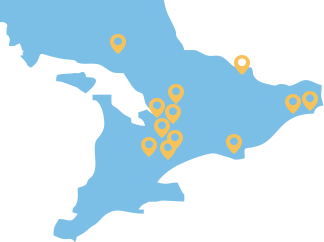 The animals will travel to Southern Ontario where they will be up for adoption to find new homes at Peterborough Humane Society. North Star Air provided air service for the volunteer teams to travel to the remote community. They also helped to transport the animals back to Thunder Bay.